We know you’re busy and don’t have time to wait. When you schedule a complementary appraisal of your vehicle with Hebert’s Town & Country, you can rest assured it will begin on schedule and be completed in 30 minutes or less. Our trained team will thoroughly appraise your vehicle to give the most competitive offer possible. As soon as our team is finished appraising your vehicle, we will immediately give you our best offer, eliminating the haggling process. Our offer is good for a full seven days, giving you plenty of time to make your decision. Our professional appraisers will be happy to answer any questions you may have and walk you through the results to explain your vehicle’s market-based value. Once you accept our offer, we’ll cut you a check for your vehicle the same day. * After you’ve handed over the keys, feel free to look around our lot for a new or pre-owned vehicle. We’d love for you to buy and sell with us, but you will never be pressured into something you don’t want. We’ll buy your car, even if you don’t buy from us! * Monday through Friday, between 9 a.m. and 4 p.m. Vehicles appraised outside these hours will receive their check on the next business day. Ready to get your appraisal value? Fill out the form below and a representative will be in touch shortly to set an appointment. 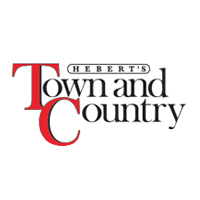 We can’t wait to serve you at Hebert’s Town & Country Chrysler Dodge Jeep Ram in Shreveport, Louisiana!